With only a small handful of shows booked for 2018, plenty of anticipation surrounded Disturbed‘s July 12th gig at Soaring Eagle Casino and Resort in Mount Pleasant, Michigan. From the moment fans started flooding into the outdoor amphitheater, one thing was obvious: people had been waiting for this moment for months. 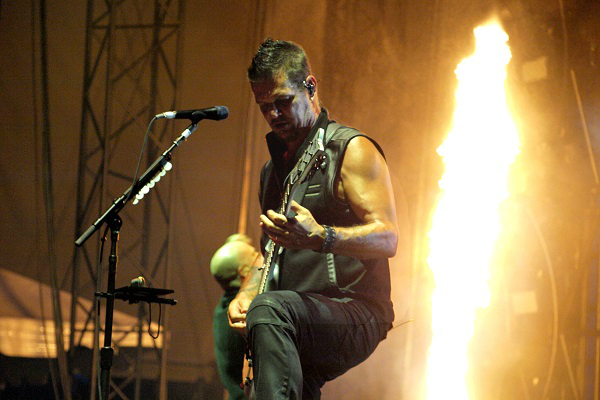 Disturbed delivered with a fiery performance that kept the crowd fully engaged from beginning to end. 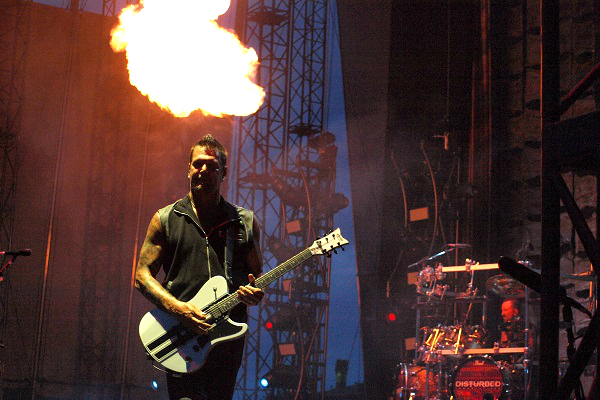 Hard rockers Three Days Grace opened the evening, and they were the perfect pick. 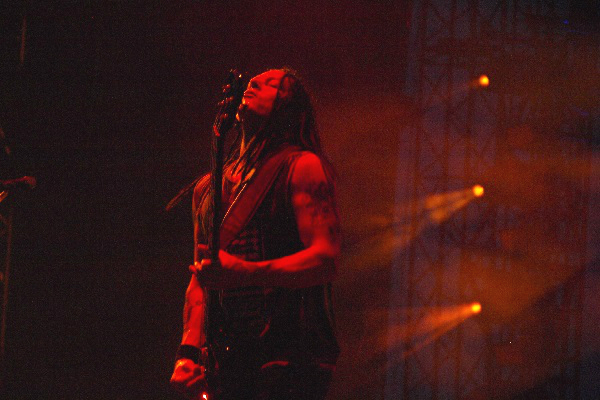 With perennial rock radio hits such as “Just Like You,” “Pain,” “Never Too Late” and “Animal I Have Become,” the songs were familiar, and that got the crowd fired up for the main act. Disturbed took the stage around 9:30 p.m., and immediately, band members had a larger-than-life stage presence that showed their veteran status. 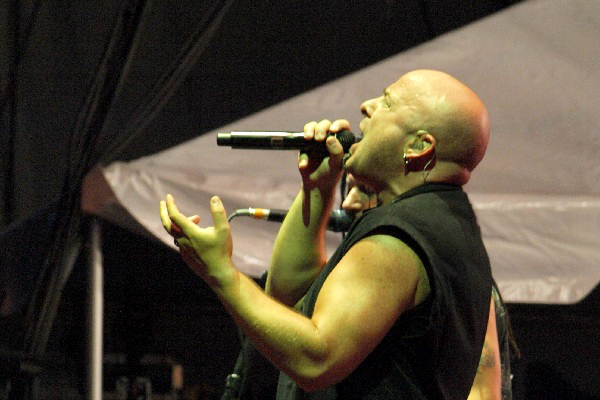 As they kicked the night off with the title track off their 2015 studio album, “Immortalized,” frontman David Draiman’s commanding vocals cut through the summer breeze witha thick, powerful tone. 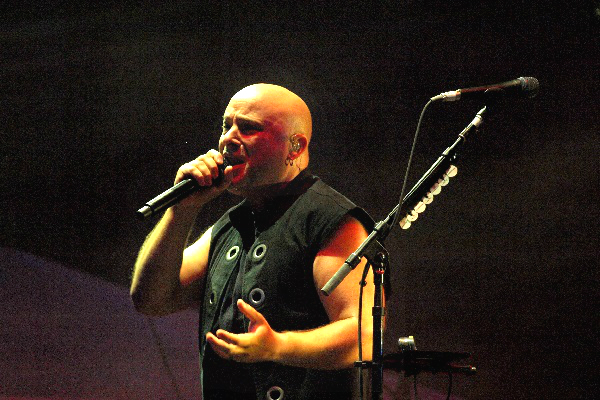 From there, Disturbed launched into one of their early songs: “The Game” off their 2001 debut album, “The Sickness.” Draiman along with guitarist Dan Donegan, bass player John Moyer and drummer Mike Wengren strutted the stage amid theatrics that included bright flames and a stunning display of pyro. Musically, this band is tight. Really tight. As the band pulled out one hard-hitting hit after the next, from “Prayer” to Stupify” to “Liberate,” they offered up big, chugging guitars and brutal rhythms. It’s magical music to experience live with the kind of sweeping choruses and deeply melodic melodies that makes even the heaviest of music, well, beautiful. 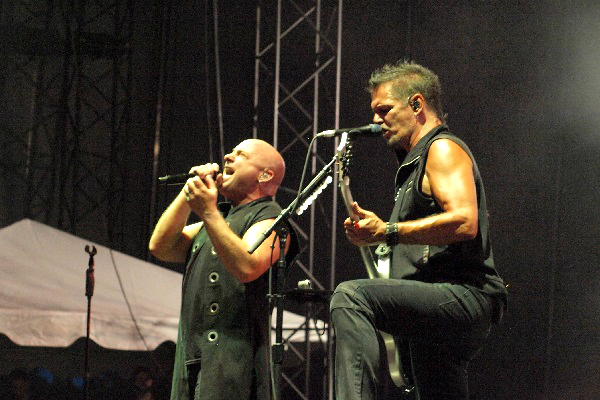 Disturbed has been working on their new album and recently shared the news that they are finished with the recording process. After experiencing this majestic Michigan show, it’s obvious the guys are fired up to continue the Disturbed legacy, and fans are ready for the next chapter of Disturbed.